The young ‘monster tamer’, Shinra is an ally of monsters, creatures that live off mana, aiding their interactions with humans. He lives quietly in the forest, and is suddenly entrusted with something — the beautiful girl Alessa, carrying a small dragon! He accepts her when she says she has nowhere to go, and with Ruri, the girl that lived with him already, the three (and the dragon) start to live together, and Shinra teaches the joys of the world to Alessa. so far it seems pretty nice likely with a slow story but still fun to read. 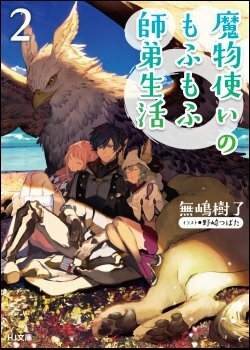 The MC identifies himself as a monster tamer and allows a girl from a seemingly well off family and her friend, a dragon hatchling live with him after his long-time friend leaves her behind shortly after assaulting him.